China plays the long game, while U.S. has the attention span of an insect. The story is held out as an exemplar of how the Chinese take the long view and exhibit enormous patience while Americans seem like a puppy chasing a bouncing ball and inattentive to the bigger picture around them. The humorous part of the story is that Zhou may have misunderstood Kissinger and thought he was asking about French street riots that happened in 1968. Reporters like the French Revolution version of the story because it’s too good not to report. Whether Zhou was referring to events three years earlier or two hundred years earlier, the point is the same. The Chinese take a long view. This article reinforces that perspective. 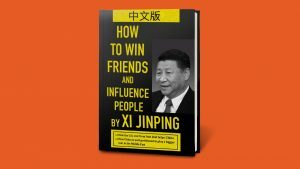 It describes how the Chinese are gaining influence in Central Asia and the Middle East with their “Belt and Road” project to spend trillions of dollars on transportation and communications infrastructure over the next thirty years as they build connections from Shanghai to Spain and from Beijing to Belgium. Even in the short run, China sees a strategic opportunity to forge a strong alliance with Iran as Iran turns away from the West because of sanctions. Meanwhile, Americans are transfixed by Stormy Daniels, Donald Trump, Jr.’s divorce, a new Royal Wedding and other fluff. Perhaps the best example of this dichotomy is that China has tripled its gold reserves in the past ten years while Americans exhibit almost no interest in gold. China knows that gold is the best way to preserve wealth when the Americans inevitably turn to inflation to solve their problem with non-sustainable national debt. When it comes to gold, the Chinese perspective is that it’s not too early to tell the U.S. is going broke.